Since its launch in Bundaberg and Hervey Bay in April 2015, House Call Doctor has expanded to cover more than 15 locations in Queensland and Northern New South Wales. 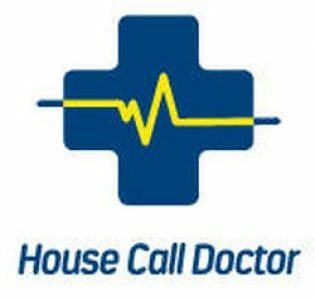 Currently, House Call Doctor has over 1200 home doctors and 40 cars. Doctors can be booked by calling 13 55 66, downloading the app or booking through the website. Patients should check if House Call Doctor services their area before making a booking. House Call Doctor is a 100% bulk billed service for people with Medicare or DVA cards. Typically, home doctors will arrive at a patient’s home within three hours of a booking. Home doctors can treat cold and flu, minor lacerations, trauma needing stitches, general illnesses, severe pain and animal bites. House Call Doctor services the State capital by providing after-hours medical care for people from Caboolture to Beenleigh. In Bundaberg, House Call Doctors treat patients from Elliot Heads to Welcome Creek, helping to reduce strain on Bundaberg’s hospital emergency departments. House Call Doctor provides after-hours medical care to both residents and tourists in Cairns, servicing Trinity Beach down to Gordonvale. Cairns’ home doctors can provide postoperative care, wound care and catheterisation. House Call Doctor provides after-hours medical care for residents and tourists from Gladstone to Tannum Sands. From Stapylton to Coolangatta, House Call Doctor provides after-hours patient care to residents and visitors. Servicing the areas of Woodum, Chatsworth and Tamaree, House Call Doctor provides medical services after-hours to people in Gympie. Urangan, Toogoom, Point Vernon are just some of the suburbs serviced by fully qualified doctors making house calls across Hervey Bay. House Call Doctor offers fully bulk billed services to residents and visitors of Ipswich. A home doctor provides a great alternative to visiting a hospital emergency department and House Call Doctor has provided this service in Mackay since July 2016. A fully qualified doctor will typically arrive within three hours after a booking with a Maryborough House Call Doctor. Servicing the city centre, Central Queensland University and outer suburbs including Gracemere, House Call Doctor provides an essential medical service after hours in Rockhampton. House Call Doctor provides medical attention for people who suffer an injury or fall ill after hours, meaning less strain on hospital emergency departments on the Sunshine Coast. Since July 2015, House Call Doctor has provided home visits to people in and around Toowoomba. Since September 2015, House Call Doctor has been reducing strain on local hospitals by providing home doctors to residents of and visitors to Townsville. Tweed Heads is House Call Doctors’ first incursion into New South Wales, and services as far south as Kingscliff. Residents in the Wide Bay-Burnett area are serviced by House Call Doctor.